Starting in the 1960’s, the Sparkle Lighting Awards was created as a way to promote and nurture community involvement and festive goodwill during the holiday season. This program involved getting Niagara Falls residents to decorate their residential and commercial properties with Christmas lights. 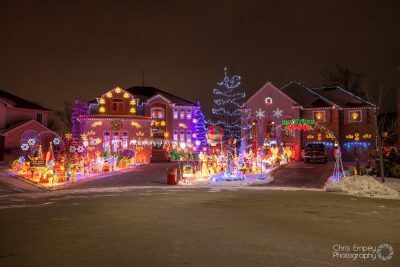 Now hosted by the Winter Festival of Lights, the Sparkle Lighting Awards recognize the best residential and commercial property holiday light displays in Niagara Falls. The displays are judged on their overall appearance, attractiveness, creative illumination and colour coordination. Properties are judged in one of three categories: Residential, Commercial and Multi-Residential. Residents and visitors alike are encouraged to view these beautifully illuminated properties when they come to see the Ontario Power Generation Winter Festival of Lights.